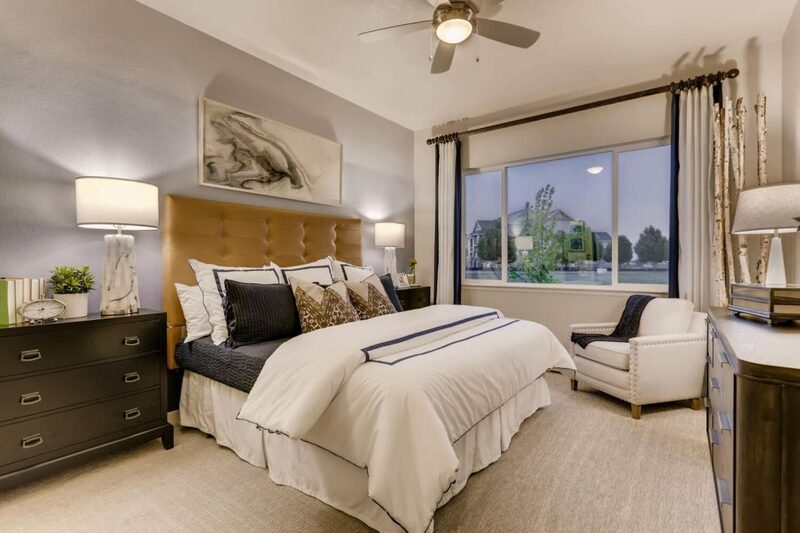 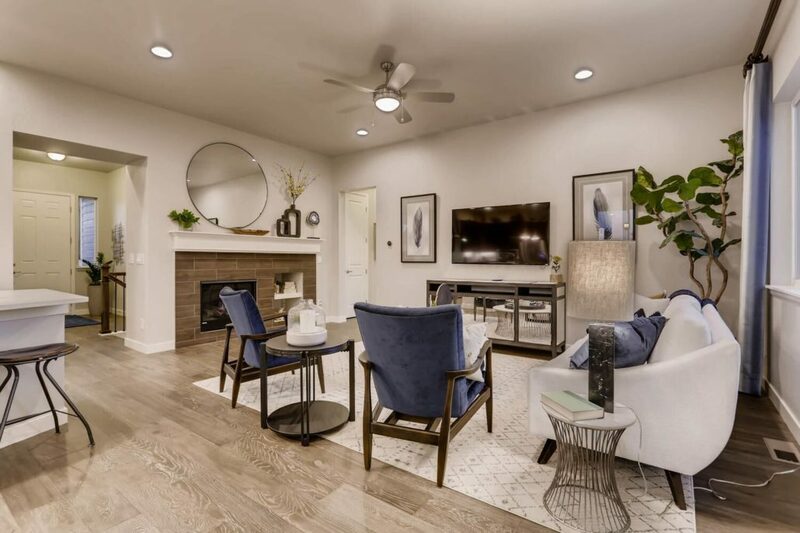 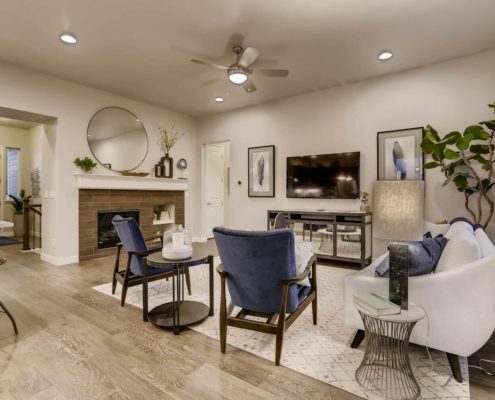 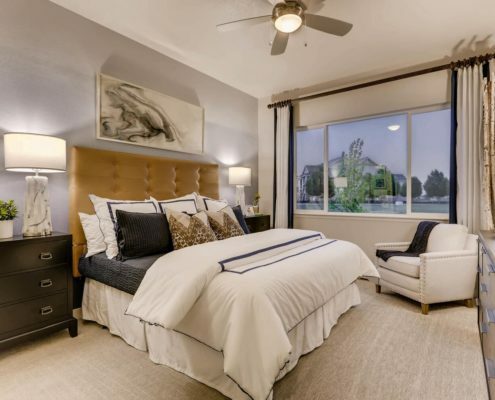 These new homes are part of a pre-existing neighborhood with mature landscaping and a friendly community of young professionals who love the outdoors. 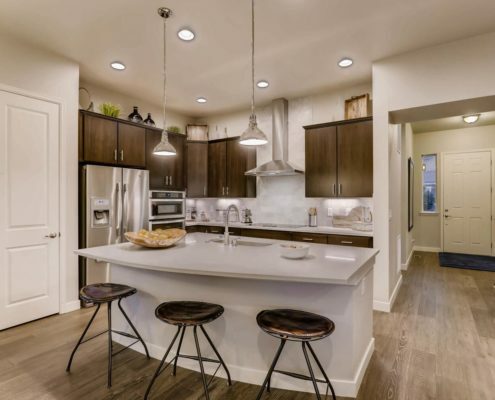 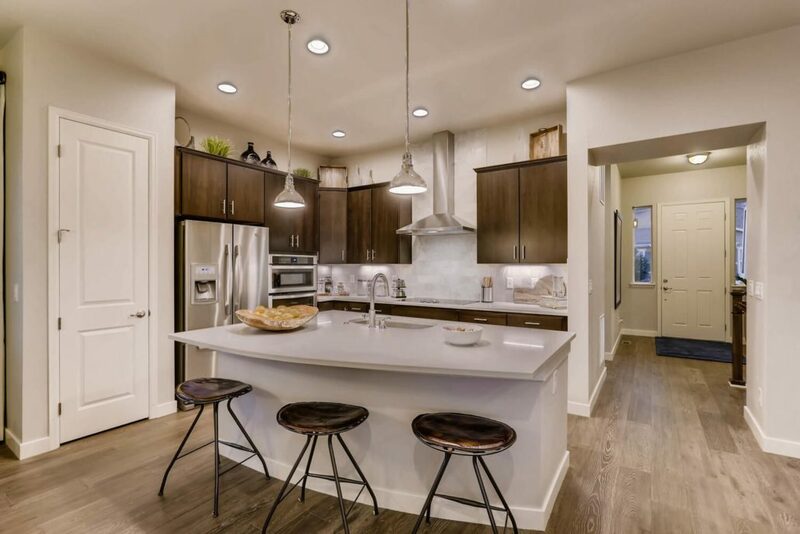 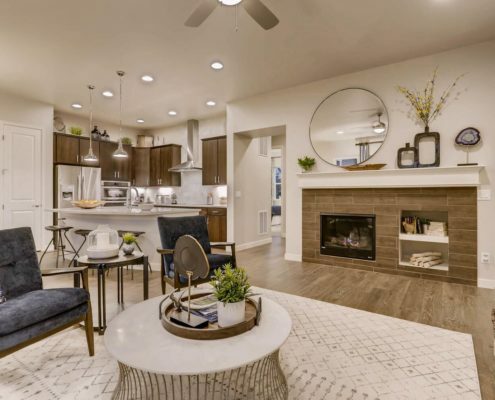 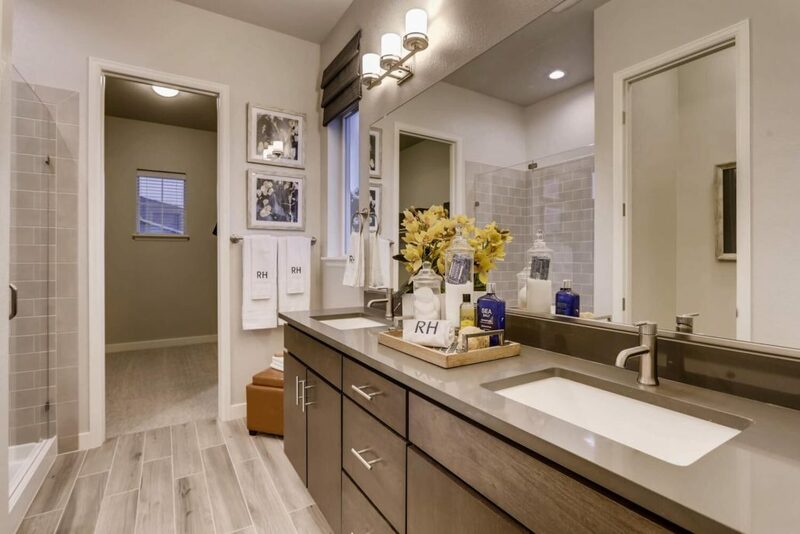 The design features a trendy look to appeal to the younger buyers, while also staying true to the surrounding Colorado environment. 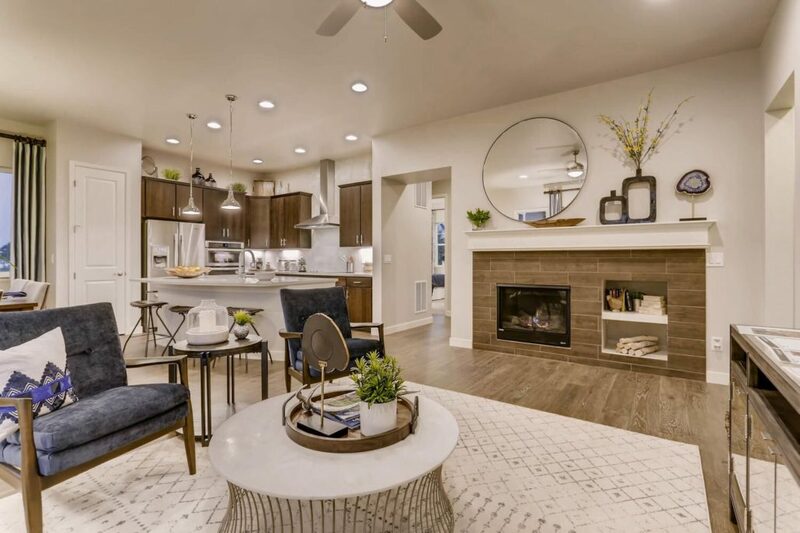 A cool color palette keeps the interiors bright and open, with a pop of rusty orange to contrast and keep things warm. 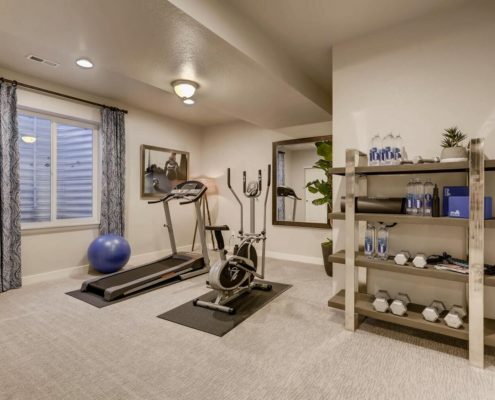 This house is definitely for the active person. 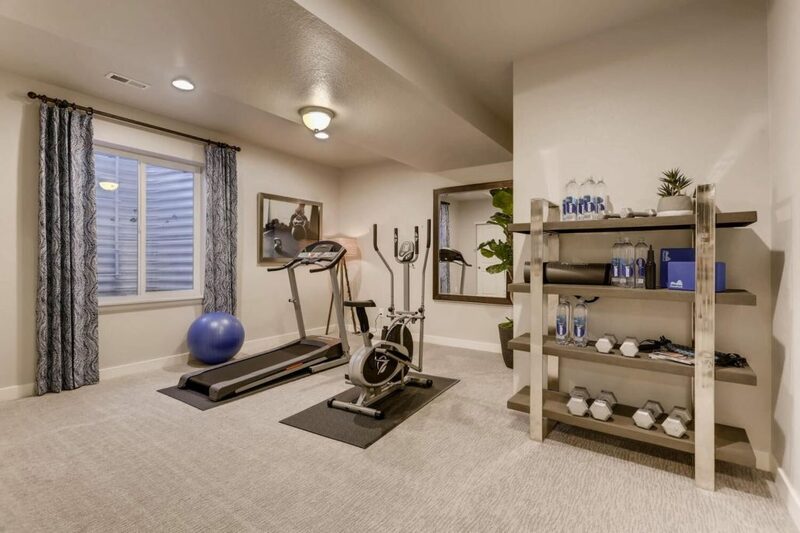 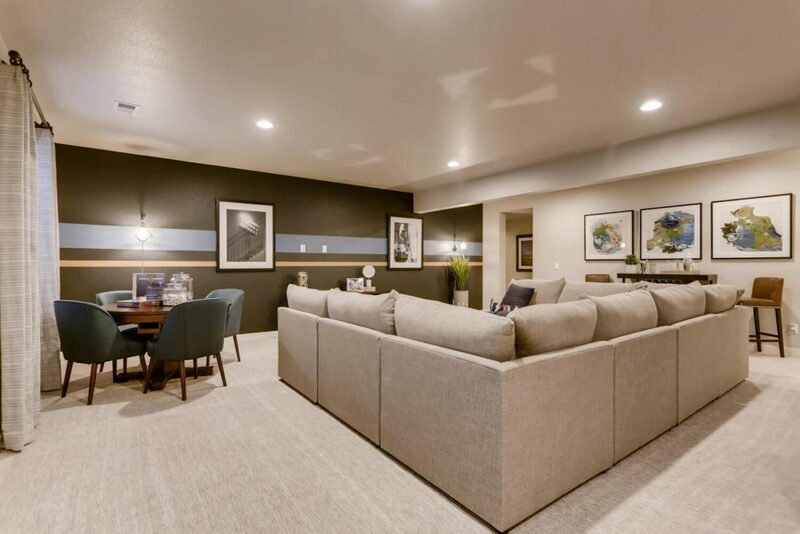 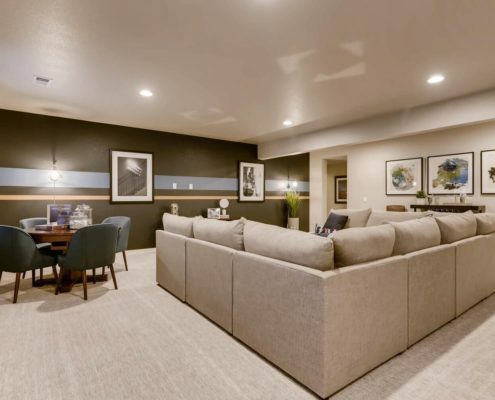 The basement level showcases a large entertaining space, perfect for watching your favorite team, and a calming workout space for both the body and mind. 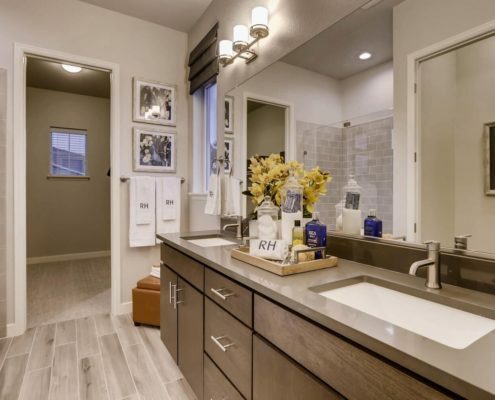 Photos courtesy of Richfield Homes.